Eva L made the whole process easy and painless. I have be struggling with figuring out my debt situation. I needed a answer so I started my research today which led me to Talking to Eva about my situation. I was a little embarrassed cause I hated having debt and no answer. Well she blew me away!!! She came up with a plan that worked for me and my life. She took off so much stress from my situation that I swear I was meant to talk to her. Not only did she take the time to explain everything to me, she knew everything to make the best of my debt. So happy how easy this process was. Thanks you Eva, you were wonderful to deal with!! So far the experience has been great. Will do a follow up review in future. 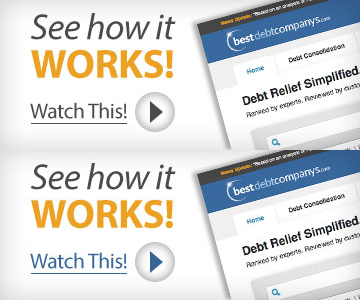 They are helpful and easy to work with regarding debt settlement. They keep me informed, but it is a little hard to reach because of the time. Everyone is really nice, and they keep me well informed about anything that they are doing. Except maybe I wasn’t paying attention when they spend the amount of what they charged of the percentage they get out of a debt. They talk to me by phone, text, and email and have do an excellent job with their service. I don’t like that I have to spend any money by doing this, but I have no choice. They do a great job dealing with creditors and have managed to reduce my bills though. Their rates are a little better than others and they are very professional and have been responsive to my phone calls. It can be hard to get ahold of them because I’m on the East coast and they’re on the West coast which can sometimes play a little trick with us communicating. But they are pretty straight up on telling us what to do. Great communication!!! Follow ups!! Been with them for 6 plus months. My rep contacts me and keeps me posted. So far the experience has been very pleasant and helpful. Great customer service. QUICK RESPONSE, AND PROFESSIONAL MANNER. Do not use this company or if you do, make sure you fully understand how they operate. Their services do nothing that you can’t do yourself. They will not settle your debts and have you pay them back. They set up an escrow account and will settle debts as your funds become available (after you start accumulating money in the account) and they will only settle with what you have available. So if you put in the minimum amount, they will only work with one or two of your creditors. They charge MASSIVE fees. I am charged almost 1/3 in fees of what I am putting in to the account, have been working this resolution for over a year and have creditors still threatening judgments. I am paying $92.00 a month in settlement fees (they charge you a fee based on a percentage of the cost of the original debt), I pay a $10 for a monthly service fee, another $10 for a check payment fee and a $3 phone fee (??? No clue what that is). I could have saved that money each month to go towards my debts and paid them down much faster. It’s a shame that I didn’t read the fine print, but I was just so excited by the thought of freeing myself of this debt burden and honestly was worn down and didn’t want to deal with it. I will be closing my account with them to prevent them from settling any other debts and add extra cash to the account to pay of my settlements quicker to save myself those extra monthly fees. I would recommend you just open a separate account that you won’t touch and throw a few hundred in there each month and work with your creditors yourself. They don’t stop the calls, they don’t expedite the recovery, they start by working with collection agencies they have good relationships with and settle the debts at what I would figure are higher rates than you could probably do yourself. I called and spoke with a very professional debt specialist Jeremy S. He was caring and understood my situation he explained the program to me and was very informative. This program is wonderful. I am glad I called. These guys are excellent. Pacific Debt Inc., has provide me services that I have looked for several years. Honest from day one, Ellen Hill is very quick to help me with all my questions, she has made dealing with Pacific Debt Inc. very enjoyable. If ever ask I am sure to recommend this company. Many thanks. PDI is a top notch company. We have been enrolled for 12 months and thanks to the hard work and guidance of Josh Hallas, we will finish in the program much sooner than we originally thought! Trust that the process works! The service offered to help me become debt free has been excellent even though the process has been long.